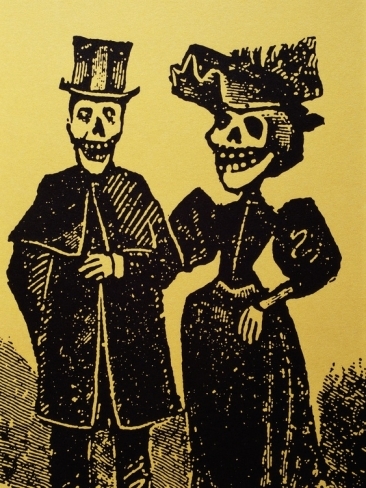 Morbid Anatomy: Morbid Anatomy in Brooklyn and Mexico (!!! ): Upcoming Classes, Lectures and Field Trips! Morbid Anatomy in Brooklyn and Mexico (!!! ): Upcoming Classes, Lectures and Field Trips! Taxidermy, ex voto, Terra Nullius, insect shadowboxes and A TRIP TO MEXICO FOR DAY OF THE DEAD! Following is a complete list of upcoming Morbid Anatomy Presents events based in Brooklyn and Mexico. Hope to see you at one or more of these great events! Email: katie.innamorato(at)gmail(dot)com or afterlifeanatomy(at)gmail(dot)com to sign up. This class will introduce students to the process and techniques behind basic taxidermy. Students will learn how to skin, prep, preserve, mount, and position the animal. The class instructor will provide all specimens, materials, and tools for the class. Each student will leave with their own finished mount! ***Nothing was harmed for this class, these animals were raised to feed large reptiles and would otherwise be discarded if not sold. To the British explorers, the newly discovered Australian continent was Terra Nullius, 'empty land' or 'land belonging to nobody', a land mass at the end of the known world, the end of known geography. Tonight Ian Haig of RMIT University, Melbourne will discuss the mythology of Australia as a zone of the unclassifiable, along with other antipodean notions of the geographical, biological and culturally unclassifiable and unknowable. He will detail the disbelief of English naturists upon first seeing renderings on paper of unthinkable animals--such as kangaroos, platypuses, and black swans-- that exist no where else in the world, and examine Australia’s outback as a post-apocalyptic space. The discussion will range from The Howling 3. Ian Haig - The marsupials--featuring a breed of marsupial werewolves based on the extinct Tasmanian tiger-- to prehistoric Australian marsupials (mega fauna) and finally to his own art work responding to the notion of the unclassifiable body. is an artist and art instructor who works at the intersection of visual arts and media arts. His work explores the strangeness of everyday reality and focuses on the themes of the human body, devolution, abjection, transformation and psychopathology, often seen through the lens of low cultural forms. Previous works have explored the science fiction of sexuality, the degenerative and malign aspects of pervasive new technologies, to cultural forms of fanaticism and cults, to ideas of attraction and repulsion. Over the years the trajectory of Haig’s vision has encompassed everything from site-specific installation projects, interactive sculpture, comics, noise music, to animations, videos, drawings, web projects, to large-scale gallery installations. Image: Early depiction of Cygnus atratus, given the title "Black Swan", native name "Mulgo." Published in 1792. From First Fleet Artwork Collection at The Natural History Museum, London. Found on Wikipedia. Today, join former AMNH Senior Insect Preparator Daisy Tainton for Observatory's popular Anthropomorphic Insect Shadowbox Workshop. In this class, students will work with Rhinoceros beetles: nature's tiny giants. Each student will learn to make--and leave with their own!--shadowbox dioramas featuring carefully positioned beetles doing nearly anything you can imagine. Beetles and shadowboxes are provided, and an assortment of miniature furniture, foods, and other props will be available to decorate your habitat. Students need bring nothing, though are encouraged to bring along dollhouse props if they have a particular vision for their final piece; 1:18 scale work best. Daisy Tainton was formerly Senior Insect Preparator at the American Museum of Natural History, and has been working with insects professionally for several years. Eventually her fascination with insects and love of Japanese miniature food items naturally came together, resulting in cute and ridiculous museum-inspired yet utterly unrealistic dioramas. Beetles at the dentist? Beetles eating pie and knitting sweaters? Even beetles on the toilet? Why not? In this class, students will create a fully finished mount from an English sparrow. An awfully cute, yet highly invasive species commonly seen in city and country alike, this class will cover introductory basic techniques used for small bird taxidermy. Each student will begin with their own sparrow, which they will proceed to skin, flesh, and mount in the pose of their choice. A selection of anthropomorphic and naturalistic props will be provided, although attendees are also welcome to bring their own, allowing the student to customize their bird. Students will create forms and poses using the technique of wrapping (a very traditional method of creating forms for small animals). We will also discuss the various methods of maintaining feet, beaks, and the delicate nature of grooming feathers. Reference images will be provided, though students are more than welcome to provide their own props and inspiration. We will also discuss federal and state bird laws, as well as the MBTA (a copy of which will be provided). And please note: No animals were killed for the class. Divya Anantharaman is a Brooklyn based artist whose taxidermy practice was sparked by a lifelong fascination with natural mythology and everyday oddities. After a journey filled with trial and error, numerous books, and an inspiring class (Sue Jeiven's popular Anthropomorphic Mouse Taxidermy Class at Observatory! ), she has found her calling in creating sickly sweet and sparkly critters. Beginning with mice and sparrows, her menagerie grew to include domestic cats, woodchucks, and deer. Recently profiled on Vice Fringes, the New York Observer, and other publications, she will also be appearing in the upcoming season of Oddities-and is definitely up to no good shenanigans. You can find out more at www.d-i-v-y-a.com. Karen Bachmann is a fine jeweler with over 25 years experience, including several years on staff as a master jeweler at Tiffany and Co. She is a Professor in the Jewelry Design Dept at Fashion Institute of Technology as well as the School of Art & Design at Pratt Institute. She has recently completed her MA in Art History at SUNY Purchase with a thesis entitled Hairy Secrets:... In her downtime she enjoys collecting biological specimens, amateur taxidermy and punk rock. You can find out more about all events here. Image sourced here.